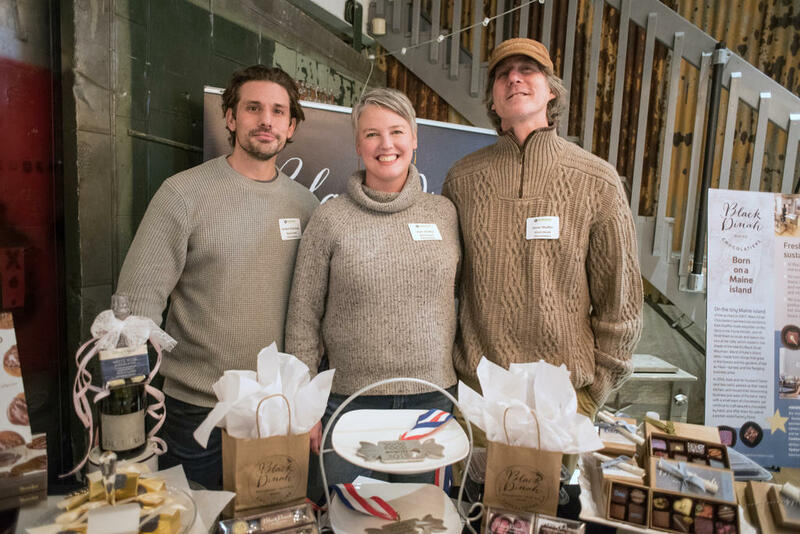 Black Dinah Chocolatiers’ production manager Jordan Kellerman, left, and founders Kate and Steve Shaffer attended the Cultivator Program anniversary event March 28. The Maine Center for Entrepreneurs and FocusMaine hosted an invitation only event on March 28 to celebrate the first anniversary of the Cultivator Program and the 10 member companies, including two in Westbrook. Kate and Steve Shaffer of Black Dinah Chocolatiers and Eliah Thanhauser, Jon Carver and Matt McInnis of North Spore were among the more than 150 people in attendance. They shared their companies’ stories, growth plans and premiered company videos. MCE’s Cultivator Program supports the growth of Maine food, beverage and agriculture companies over a 12-month period by providing hands-on strategic assessments, tailored professional resources and interactive business forums focused on overcoming the specific strategic challenges participant companies face as they attempt to grow and scale. “Palm Weaving for Adults” will be held from 1-5 p.m. on Palm Sunday, April 14, at the St. Anthony of Padua Parish hall, 268 Brown St.
Palm weaving, a European tradition found in many countries, provides an option for displaying the Palm Sunday palms, which are sacramental and cannot be thrown away. Simple designs include a classic cross, flower designs, spirals, a crown, braids and hearts. There is no charge for the session, palms will be provided and instruction will be offered. Participants should bring their own scissors and may drop in at any time during the session. For more information, call 857-0490. The Stephen W. Manchester Post 62, 17 Dunn St., is hosting a benefit dance from 7-11 p.m. April 20, in observance of the 100th birthday of the American Legion. Tickets for the event, which will feature appetizers and prizes drawn throughout the evening are $20 per person. Each ticket is good for one free entry to a raffle for two Jet Blue Airline tickets to be drawn at the end of the summer Concerts in the Park. GFWC Westbrook Woman’s club will hold its annual meeting Tuesday, April 16, at Westbrook-Warren Congregational Church, 810 Main St. A turkey dinner will be served at noon followed by the meeting at 1 p.m.